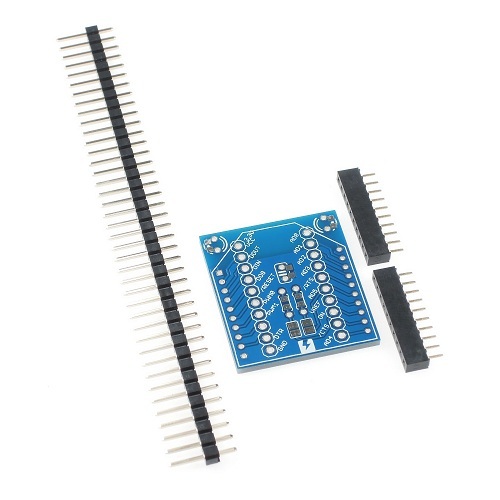 This board breaks out all pins of the XBee to 2.54mm pitch. 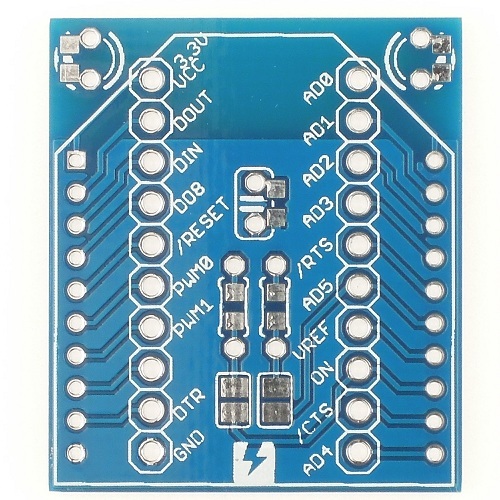 You can add a bypass capacitor and/or LED indicators ("ON" and "Associate / AD5") by yourself. These parts are not included in this kit. For detail, please see attached schematic. For LEDs, 3mm diameter radial PTH or 0603 (1608 metric) SMD. 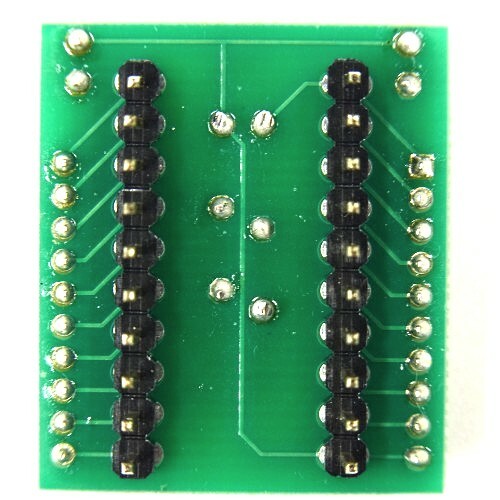 For resistors, 5mm length axial PTH or 0603 or 0805 (1608 or 2012 metric) SMD. 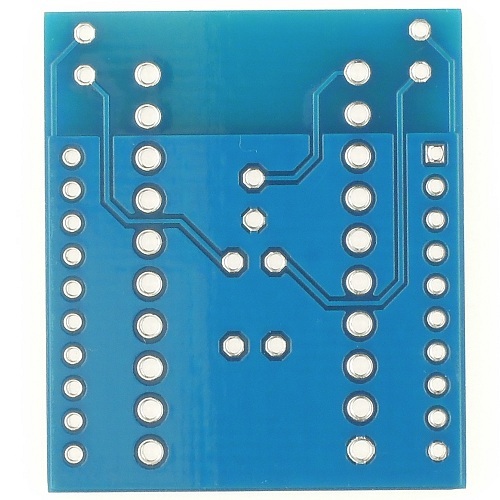 For capacitor, 100mil (2.54mm) pitch radial PTH or 0603 (1608 metric) SMD. You need to short solder jumpers side of the resistors if use LED indicators. 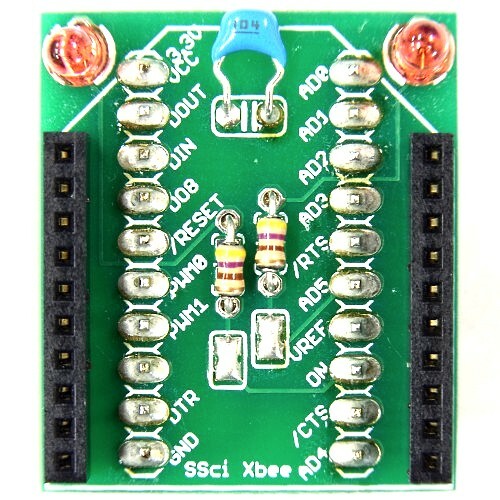 No XBee radio module included. The board in this picture is an old version. But, the circuit is same as the current version. These parts are not included in this kit. you need to get these parts yourself.